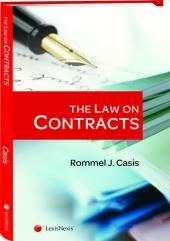 This edition will provide a rich, comprehensive and intellectually superior treatise on the law of contract. 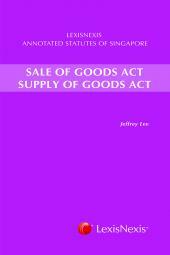 a) Impact of the Electronic Commerce Act 2006 on commercial transactions : Act application, consent in commercial transactions, formation and validity of electronic contracts, the place of formation of electronic contracts and purchase transactions. b) Contractual nature of Islamic financial products: Al-Istinaa' Facility Agreements, Al-Wujuh Facility and Al-Bai Bitaman Ajil Facility, Murabaha Sale Agreement or Bai Bithaman Ajil (BBA) contracts. Charges on land pursuant to islamic banking facilities and the issues of Islamic law on commercial matters before the English court are also appraised. c) Representations and terms : recent application of English case law by Malaysian Federal Court, fundamental terms and fundamental breach as applied by Malaysian courts and Lord Hoffmann's "new" test to imply a term in a contract. d) Minors : capacity to contract, discussion of the Wayne Rooney (English) case : Proform Sports Management Limited v Proactive Sports Management Limited and Proactive Sports Management Ltd v Rooney & Ors. e)Discharge by agreement : scope of section 63 of the Contracts Act test - Polygram Records Sdn Bhd v The Search. Novation : not limited to change in agreed terms but also may include change in parties. Alteration and consent to alteration and the different form of rescission under section 63.
f) Discharge of breach : rescission owing to total failure of consideration: a misconceived concept for the right to rescind? Discussion of three fairly recent Court of Appeal decisions. Uncertainty and confusion prevailing to the meaning of the term rescission is dealt with definitively - two clear terms defining rescission and its application to late delivery cases by Malaysia Courts. Berjaya Times Square Sdn Bhd (formerly known as Berjaya Ditan Sdn Bhd) v M-Concept Sdn Bhd: The Federal Court decision (reversing the decision of the Court of Appeal and the High Court) to deny the purchase the right to rescind despite protracted delay in completion was a deviation from the traditional process adopted by Malaysian Courts. g) Damages : section 75 of the Contracts Act - whether a new test as stated by the UK Supreme Court is applicable in Malaysia - Transfield Shipping Inc v Mercator Shipping Inc; The Achilleas. h) (i) Specific performance : of oral contracts, contracts of employment, revocable contracts (section 20(1)(d) of the Specific Relief Act) and abandonment of right to specific performance. (ii) Injuctions : against non-compliant persons, in derivative action to restrain dissipation of assets. Super-injunctions and cases discussing the discretion to grant interlocutory mandatoru injunctions and interlocutory injunctions for performance bonds and guarantees. Proceedings against government:conflicting decisions as to whether there is a statutory bar to the grant of any form of injunction. Cases for claims for damages and/or specific performance discussed. i) Estoppel : approach by the Malaysian Courts and an examination of recent developments - two leading English decisions and one Privy Council decision. k) contracts statute annotations : Annotated Parts I tp VII of the Contracts Act 1950 and the Contracts (Amendment) Act 1976 with extensive reference to cases. 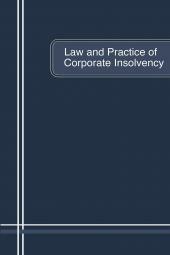 A source of pride to LexisNexis, this edition will provide a rich, comprehensive and intellectually superior treatise on the law of contract.